With anti-choice legislation closing health centers across America, limiting access not only to abortion but also a plethora of services like STD treatment or cancer screenings, this story is a good reminder that terminating a pregnancy can be an event in a woman’s life rather than a defining tragedy. 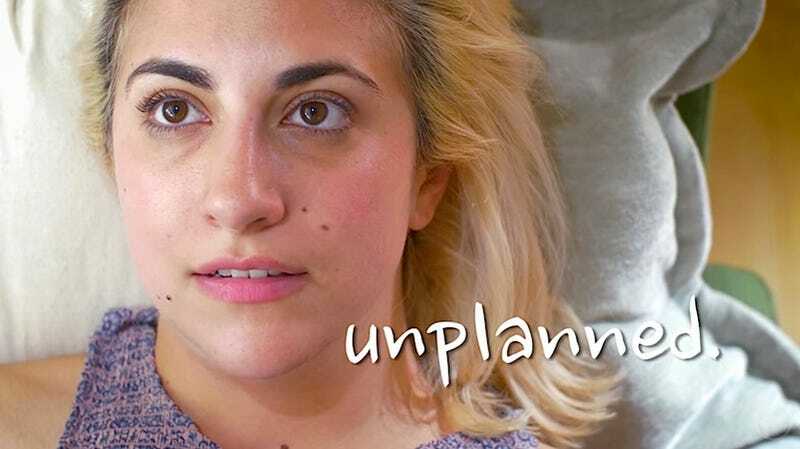 Ali Vingiano of BuzzFeedYellow shows a young woman who has her first one night stand and ends up pregnant. As her best friend says, “That’s like getting food poisoning the first time you have Taco Bell.” The protagonist, played by Vingiano, makes the decision to end her pregnancy before the guy she met at Bar 66 gets around to texting her back. She’s obviously left with far more relief than turmoil over her decision not to have a kid with a stranger. Though the character’s easy access to abortion services might make you raise your eyebrows, the film is a nice vignette about a decision many women face without it shadowing their lives forever. There are plenty of medical concerns that might lead an expectant mother to abort (which anti-choicers are still trying to criminalize). There’s also the legitimate reason that you’re not ready, for motherhood or to be bound to a guy forever because of a broken condom. The more we destigmatize that choice, the less trauma anyone has to experience.